PWG’s Carnival of Books is moving up on us fast and believe me, you won’t want to miss any of it. We’ve planned children’s programs: Children’s Story Time, Origami Craft, Afternoon Tea & Story Time, Crown Craft, Marionette Show and Face Painting. And for writers’ we have a few workshops planned: Yoga & Poetry, Show, Don’t Tell, Poetry, Researching Setting and Creating Chap Books. Plus you’ll have an opportunity to meet and speak with authors and have them sign your books. If that’s not enough for you, from 3-4p there’ll be an Open Mic Hour for authors who’d like to share their work. All in all a pretty full day. 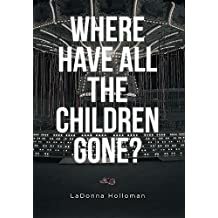 Today’s author we’d like you to meet is LaDonna Holloman, she’ll also be attending PWG’s Carnival of Books on Sept 29th at the Turnage Theatre, Washington, NC. Michelle has taken her niece, Nicole, and a friend to an amusement park to celebrate her birthday. An FBI agent, Peter, has also taken his son to the same amusement park. In a few seconds of blinding light, the children from all over the world disappear. Chaos breaks out! The amusement park is totally empty of any children, the carousel is full of confused and panicked adults. Michelle and Peter work together to hunt for the missing children, but every lead they follow is a dead end. Where could the children be? Who and why would anyone take them? Hello my name is LaDonna Holloman. I am a new author of “Where Have All The Children Gone?”; and I have already started the second book in my series, “Journey To The Dark Island”.